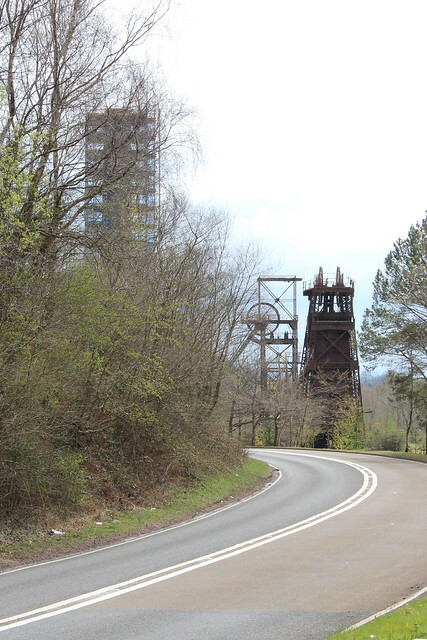 Driving down from Crynant, the former Cefn Coed Colliery is a remarkable sight. Currently, the chimney stack is surrounded in scaffolding; part of a £75,000 project to repair it. But it’s the headframes that are the really distinctive thing about the site. Sadly, they’re in a pretty sorry state. 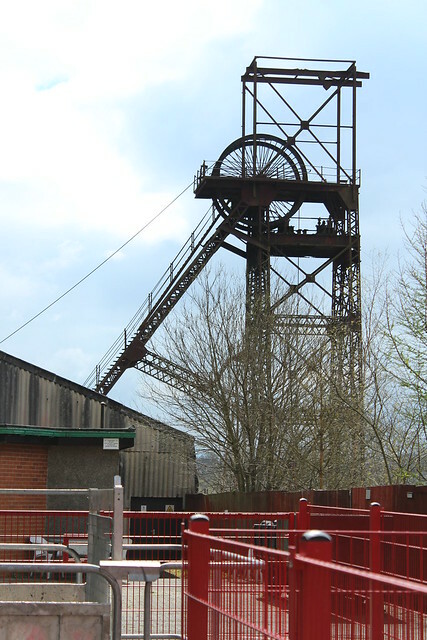 The colliery closed in 1968, but the buildings were retained for the adjacent Blaenant drift mine. I’m told that only one of the shafts was actually in use – as an upcast and second way out for the drift. 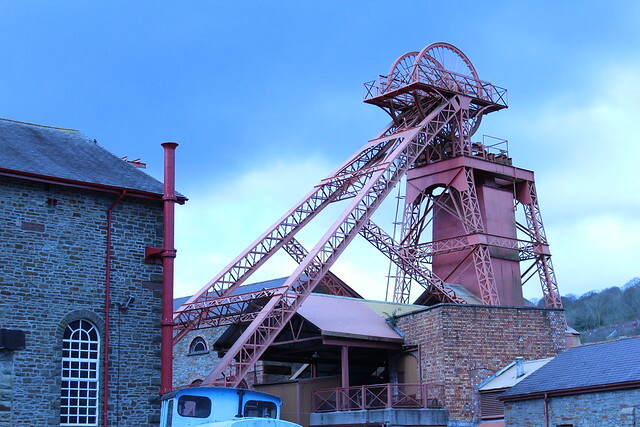 Blaenant was closed by British Coal in 1990, with a loss of nearly 600 jobs. Puzzlingly, the winding house for the upcast shaft (in the foreground) has been demolished. I’m not sure how often this was used up until 1990, but it doesn’t look like it’s been maintained in any way since. The downcast shaft has arguably fared better – the winding house with the original steam-driven winding engine is a key part of the museum, and there’s even a cable hanging over the sheaves (the winding wheel at the top of the headframe). The shafts just have a steel plate over them. Unlike most closed pits, they weren’t filled with rubble and capped with concrete after closure. Apparently it led to some speculation of potential reuse in the future. An unlikely prospect, though. The museum buildings are managed by Neath Port Talbot Council’s Museum Service. Responsibility for the shafts lies with the Coal Authority. But the headframes technically stand on private land (owner unknown), so responsibility for their upkeep is unclear. The cladding around the headframe kept the structure airtight, and air was sucked up the shaft to help ventilate the mine. Since Blaenant was just a single drift (a tunnel running at a gradient down to the coal seams), a second way out had to be in place by law. It really would be a shame if the site were allow to decay further. Certainly, the museum would lose its appeal without them. 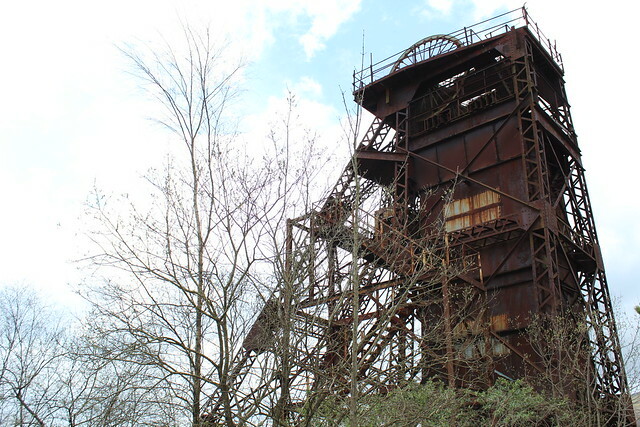 The headframes – one of only a handful left standing in Wales – are a stark and iconic memorial to the generations of men who worked not only at Cefn Coed, but the south western coalfield as a whole. 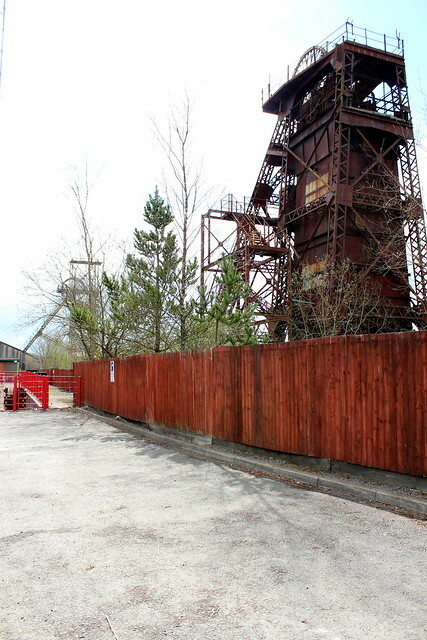 By contrast, the former Lewis Merthyr Colliery at Trehafod, near Pontypridd, is in a much better state. 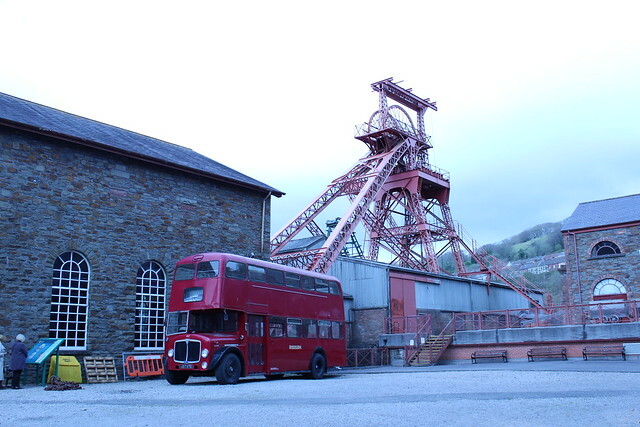 It’s been incorporated into the Rhondda Heritage Park, which opened in the late 80s. I suppose the museum’s success is helped in part by its proximity to Cardiff.